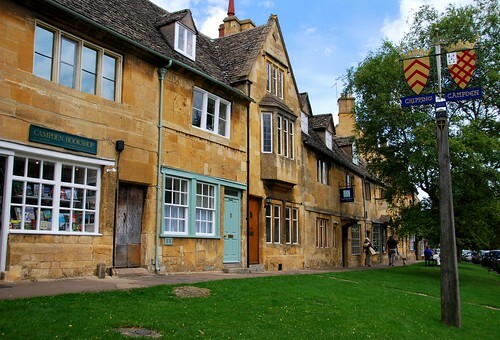 The Cotswolds: Yes, it does get more “English” than Oxford! Hope: Hello? Is this Warwick House Bed and Breakfast? H: I was calling to see if you had any double rooms available for tomorrow night and if so, how much it costs. CB&BK: Why yes we do. It’s £60 for a double room, including breakfast. Would you like me to reserve the room for you? H: Let me call you back in a bit, I’m just asking around right now. “Right you are”? “Cheerio”? Really?!? People really talk like this?!? AWESOME!!! The United Kingdom continues to surprise. First it was London, which I mistakenly thought of as too vanilla. Thousands of Middle Easterners, Europeans, and Africans living in the city proved me wrong on that assumption. This time it’s the Cotswolds, a region about 2 hours northwest of London in the countryside, showing me just how English England can get. 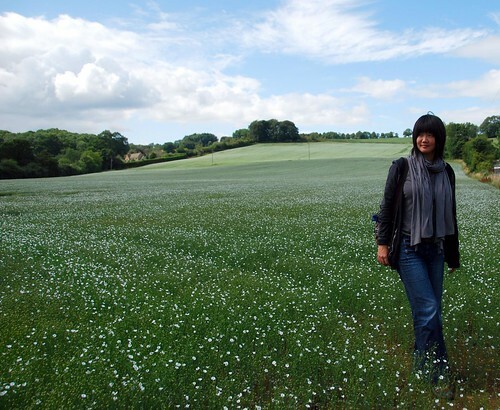 Now I understand where they those halcyon scenes of the English countryside you see in the movies come from. Rolling hills? Check. Little old ladies pushing carts to the market? Check. 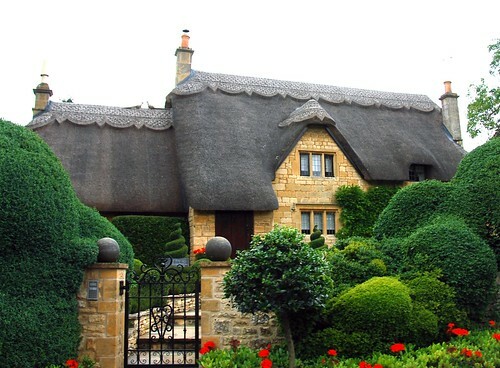 Stone cottages with thatched roofs? Check and double check. It’s all right here, in the Cotswolds. 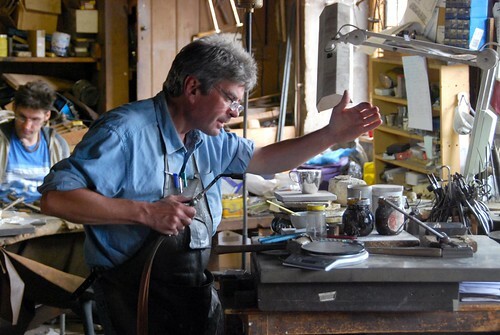 A traditional silversmith hard at work. Doesn’t this photo look like it came come straight from some PBS show or something? A walk in the countryside. By far the cutest village is Bibury, with adorable slate-roof houses set upon a babbling river. Unfortunately, it was raining pretty hard while we were there, so we didn’t really get to explore. 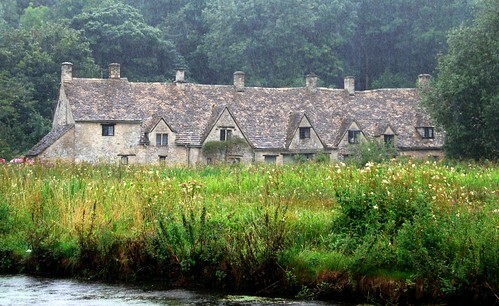 A rainy day in Bibury. Our first night in the area, we stayed in Moreton-in-Marsh so that we could check out their local market the following morning (Tuesday). The market itself wasn’t too interesting (mostly a bunch of factory seconds and random electronics), but it was definitely a culture shock for us…after six months in Asia, we were agape at the sea of silver hair! 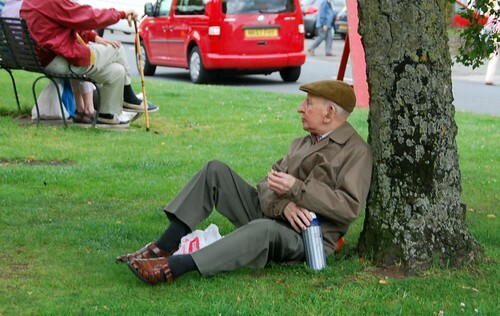 I was totally charmed by all the little old men in their cute English outfits. Even the ironmonger (yes, there was an ironmonger) was wearing tie and sweater vest underneath his work apron. After lunch in one of the local pubs, we headed out for a day in the countryside. 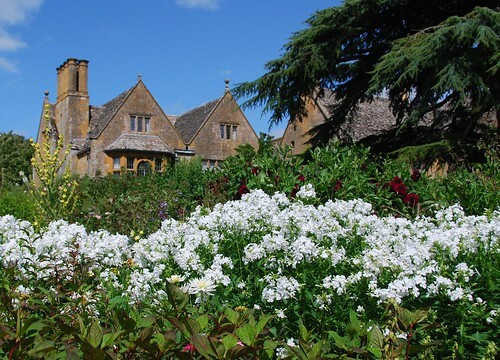 We visited Hidcote Gardens, a vast network of “outdoor rooms,” where you can see the English garden in all its overgrown glory. Hidcote Gardens, with the manor in the background. 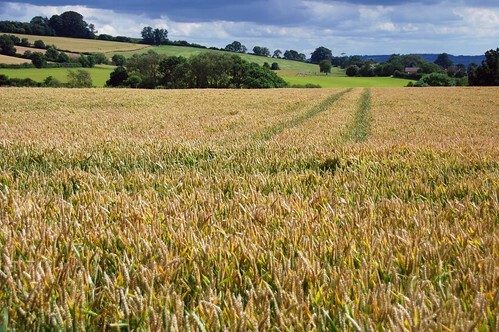 Just as breathtaking: the wheat fields right outside Hidcote Gardens. 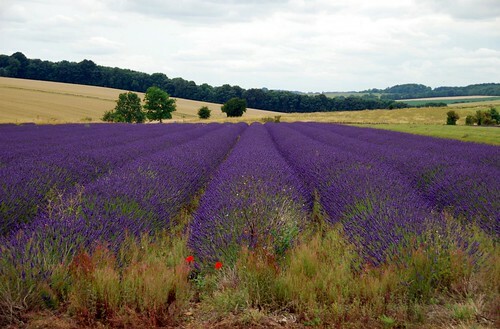 But the highlight of our visit was Snowshill Lavendar Farm. It’s a pretty stunning sight to go from golden hills of wheat to acres and acres of vivid purple farmland. And the fragrance was incredible! You can pay a small entrance fee (£3?) to enter the farms and pick your own lavender, or you can just enjoy the lovely sight and aroma from the highway (like we did!). If you ever feel like walking straight into movies like Pride and Prejudice or Remains of the Day, now you know know exactly where to go. Note: You may notice a few changes in the way I post about our travel experiences. Since so much of traveling is about the actual traveling part (and others may find this useful), I’ll be including a “How We Got from Point A to Point B” section at the end of each post. I’ll also be including info on where we stayed in each destination. Like a good (online) citizen, I’ve been updating Wikitravel, Tripadvisor, and Hostelbookers with reviews of the hotels and hostels where we’ve laid our heads, and I thought it might be a good idea to include those words here too. Hope it helps in your future travels! How we got from Oxford to the Cotswolds: We drove our rental car along the A44 from Oxford to Moreton-in-Marsh, our first destination in the Cotswolds. It was a relatively straightforward drive (only about 1 hour), but we felt very fortunate to have Chi-Chi’s satellite navigation device with us—all those one-way streets and roundabouts in the England can throw you for a loop! Where we slept in the Cotswolds: The first night, we stayed at Warwick House B&B (£60 for a double ensuite, including breakfast) in Moreton-in-Marsh. The owner, Charlie, is really sweet and totally crazy in that way that all B&B owners seem to be. We had the largest room in the house, with an attached ensuite bathroom (with a bathtub!). The room was great but the beds were a bit too soft for us. The second night, we stayed at Little Broom (£55 for a double room ensuite, including breakfast) in Maugersbury, near Stow-in-the-Wold. It was a beautiful little cottage out in the countryside with incredible grounds and yet another crazy B&B owner. Our room was smaller (and pinker) than our room at the Warwick. Great breakfast! 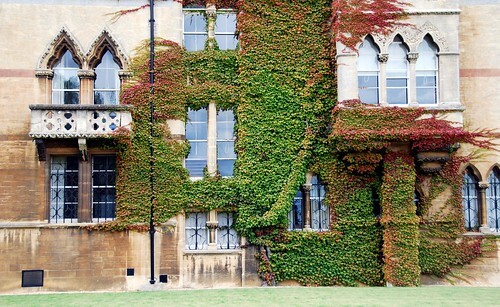 Oxford: Does it get more “English” than this?!? After 10 days in London, we rented a car to explore the English and Welsh countryside. First stop: Oxford, where our friends Nas and Jen (who we know through Grace and Susan), agreed to host us for the evening, which was very generous, considering they have a (very cute) 9-month-old (Nya) to run around after! I’m sure I can’t do Oxford justice, since we were there a mere 24 hours, but I’m pretty certain no one will argue that it is a beautiful place. 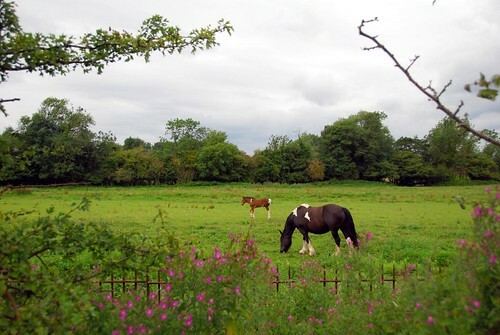 Nas, Jen, and Nya walked us into town along the River Thames, and the countryside around their home was just stunning! 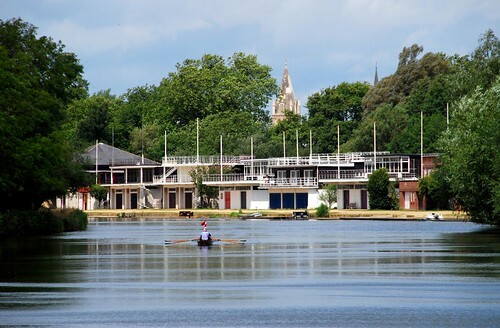 Rowing on the River Thames. You might find this picture next to the word “idyllic” in the dictionary. 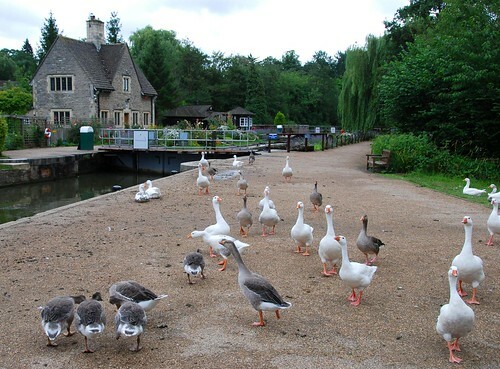 Ducks and geese vying for food in front of the Lockkeeper’s Cottage. Once you get into town, the views are just as mesmerizing. If the gorgeous architecture doesn’t win you over, then the cobblestone streets surely will. 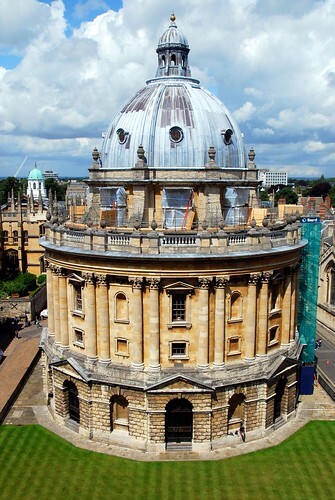 The Radcliffe Camera, probably the most photographed building in Oxford. 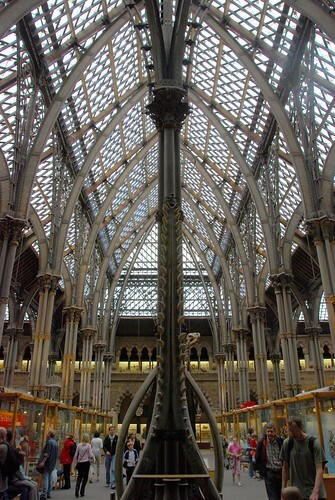 Speaking of gorgeous architecture, we thought the Natural History Museum in London was beautiful, but the equivalent in Oxford blows London out of the water! Sadly, the photos will not do the stunning Gothic structure justice. 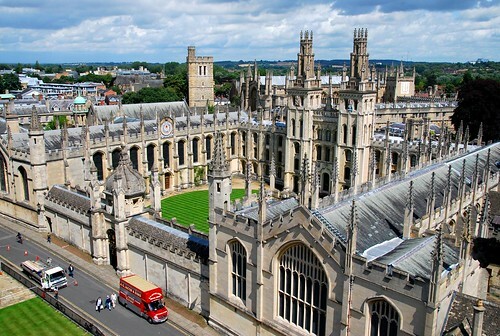 Many people (including Jeremy and I) are surprised to hear that Oxford does not have a unified college campus, but rather, is made up of a number of independent colleges, each with its own identity and unique campus. 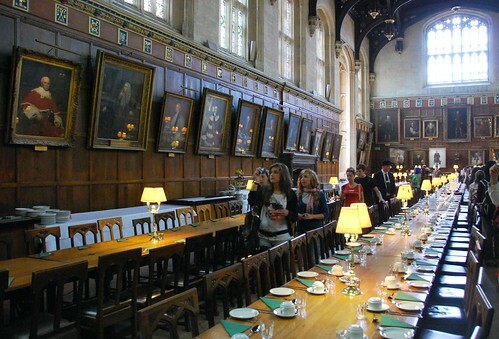 By far the most popular is Christ Church College, since it houses The Dining Hall Where they Filmed Harry Potter. There were a lot of kids and teenagers touring Christ Church, each one probably imagining that they were flying around these hallowed halls on their own personal broomsticks. 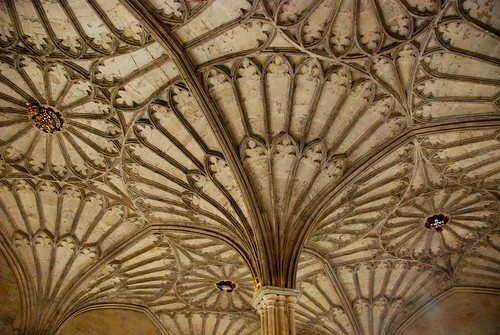 The ceiling in Christ Church College. 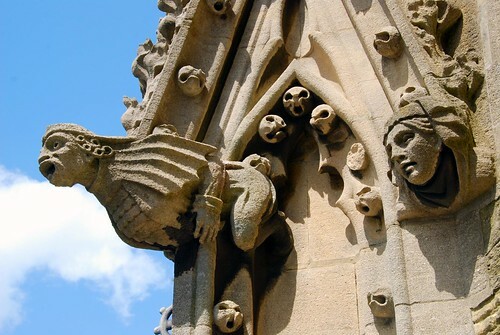 If you’re ever in Oxford, we highly recommend you check out the University Church of St. Mary the Virgin. The views of Oxford from the top are stunning! They recently upped the entry fee from £1 to £3, but it’s still worth it. 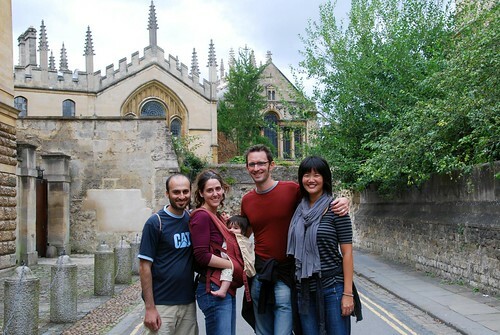 Our stopover in Oxford, although brief, was very enjoyable. Not only did we get to see England in all its glory (punting on the River Thames, historic university halls, people playing cricket, calves nursing in the grassy fields, old timey guys riding wooden bicycles in coattails…does it get more “English than that?!? ), but Nas, who is a master photographer, filled our little brains up with all the f-stop and aperture info we could handle! We even had time for a late-night photo-shoot in his studio (check out the rest of his work here). Nas, Jen, Nya, Jeremy, and Hope. Thanks to Nas, Jen, and Nya for showing us such a beautiful part of the world!